Two of the dominant themes of discussion in international relations scholarship over the last decade have been global governance and rising powers. Underlying both discussions are profound ethical questions about how the world should be ordered, who is responsible for addressing global problems, how change can be managed, and how global governance can be made to work for peoples in developing as well as developed states. Yet, these are often not addressed or only briefly mentioned as ethical dilemmas by commentators. Who is rising and how? How does this impact on global governance? What are the implications of these developments for global ethics? Through these questions, some of the key academics in the field explore how far debates over global ethics are really between competing visions of how international society should be governed, as opposed to tensions within the same broad paradigm. 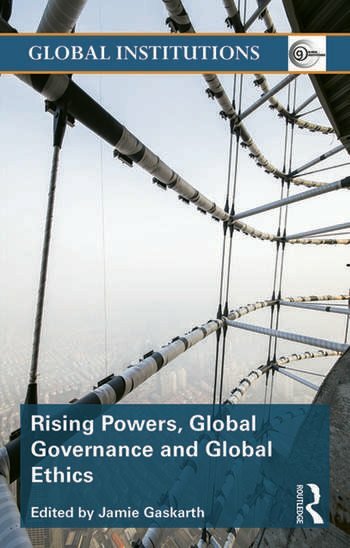 By examining how governance works in practice across the Middle East, Africa and Asia, the contributors to this volume seek to critique the way global governance discourse masks the exercise of power by elites and states, both developed and rising. This work will be essential reading for all those with an interest in the future of international relations and global governance.